This summer, all of the cool kids are writing *mancy books! Michael R. Underwood (Twitter, Facebook) just celebrated the release of his first novel, in which magic flows from genre tropes, and Ree Reyes (barista-and-comicshop-employee) finds herself drawn into the supernatural side of town, investigating a string of suicides. Geek-powered magic. It’s all the rage. 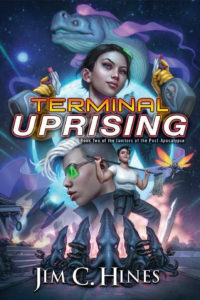 You can check out the first two chapters at Tor.com. A while back, I blogged and chatted a bit about Book Country, an online community of readers and writers launched by Penguin. I was delighted when Michael offered to share his experience with Book Country, an experience that led to a two-book deal for Geekomancy and its sequel. Previous First Book Friday entries in the series are indexed here. The submission guidelines are over there. There’s a certain way things are done in publishing. Most authors write a manuscript, revise it, revise it again, then revise it some more. They get an agent, then they get a deal, then a year to a year and a half later, the book comes out in paperback or hardcover, etc. This is the way that things are done. And for many people, it works fabulously. But there are always exceptions. Happily, my story with Geekomancy [Amazon | B&N] is one of those exceptions. 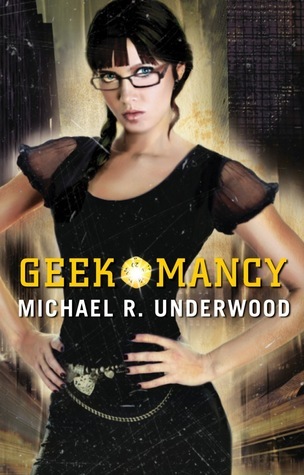 At the beginning of 2012, I had just completed the first draft of an urban fantasy called Geekomancy and decided to try an experiment. Like many experiments, the results were unexpected. I’d put a previous novel up for critique on Book Country, a community for genre fiction authors, and decided that it’d be a good exercise to show my new novel’s whole revision process on Book Country – it’d be a way to have accountability, get feedback as I went, and make a Thing of it. As it turns out, it was not just a Thing, it was The Thing That Would Get Me Published. A few weeks after I put up an excerpt, Adam Wilson emailed me, introducing himself as an editor for Pocket/Gallery. He’d read what I posted and liked it, and saw that I had a complete draft, and could he read it? I said YES, and off it went. In the meantime, a Penguin editor also asked to read the full, taking me from ‘Wow, this is cool’ to ‘There could be editorial Thunderdome in store.’ It didn’t get quite that crazy, but in a little over a week, I had an offer. Adam was acquiring for a re-launch of Pocket Star as an eBook original imprint, and wanted to buy Geekomancy and 1-2 sequels as part of the re-launch. Initially, I was sad to not have a print edition, since I have lots of bookstore connections and I didn’t dream of one day publishing an eBook when I was a kid. But with some reflection, I saw the advantages: as an eOriginal, it’d be faster to market, and it’d be easier to target directly to the demographic sweet spot (geeks and gamers), many of whom are eBook readers already. I asked for a bit of time to consider the offer, and in that time, I went on a Lightning Round Agent Search, talking to several different agents and signing with the fabulous Sara Megibow of the Nelson Literary Agency. With an awesome agent on board, we sealed the deal. Story’s over, right? Pack up, go home? Not quite! A few weeks after the deal was done, Adam came back and asked if I’d be interested in turning the book in a couple of weeks earlier so they could release the book at Comic-Con? Again, I responded in the enthusiastic affirmative. Comic-Con? A chance to get the book in front of 100,000 members of its prime demographic? Done. And that’s how I sold, edited, and had my first novel published within six months of signing the deal. Geekomancy is now out in the world, its story a happy exception to the norms of publishing and helping trailblaze one of many new paths in the field.